He has risen, indeed! We hope you had a wonderful Easter with your congregations and families and celebrated the Resurrection. As most churches just crammed a bunch of events and community impact into one week, we’re happy that you’re moving on from the revved up weekend and getting some deserved rest. What you might have noticed, though, on Easter was that your congregation’s seating couldn’t serve all of your Easter guests. Easter and Christmas are times when lots of people who don’t come week after week for services join in on church services. After a few weeks some of them may stop coming again but hopefully your church has welcomed back some members into your congregation and they’re planning on becoming more active in your church community. 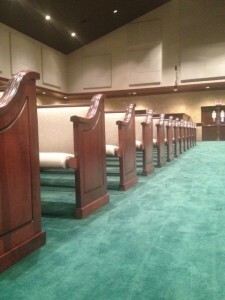 When your church is growing, your seating arrangements for church pews just might not be enough to get the job done. While folding chairs can help out for a while, you don’t want to do anything to discourage new members from coming. Making sure everyone is comfortable, both new and old members, is important to the continued growth of your church and spreading the Word. We’re on a mission to help you spread the Word as much as possible. 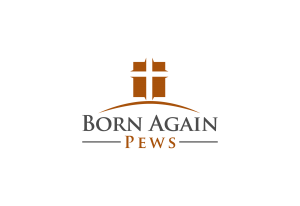 We are appreciative of the Lord’s gifts to us and feel very blessed to provide church pew and church furniture services to our customers at an affordable price. Our mission is to provide quality church furniture at the lowest price possible so more money can be spent on ministry. One thing you should do after Easter services is reach out to individuals who haven’t been to church in a while. They might be struggling with their faith and need some reassurances from someone else to keep on coming after Easter Sunday. And if you’re short on seating, we can help. We want everyone to be able to hear and focus on the Word, instead of an uncomfortable chair or broken pew.